Hey friends...this is my last card for the Operation Write Home Virtual Card Making Party....the Bonus Round. Make a card with googly eyes. How cute is this turtle stamp?!? And the sentiment...PERFECT! 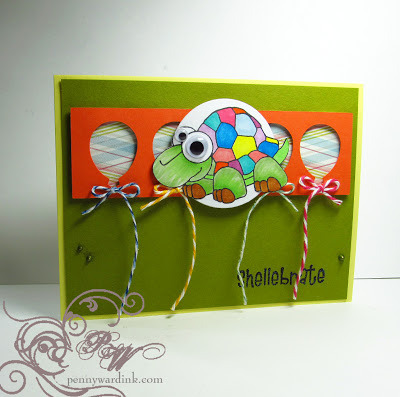 I used the "out of the box" cutting technique on the turtle...fun!!! Adorable! 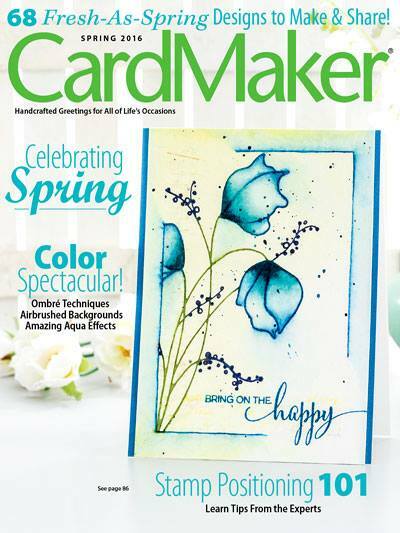 Love the bright colors and the use of the negative piece for the balloons. Oh my gosh! 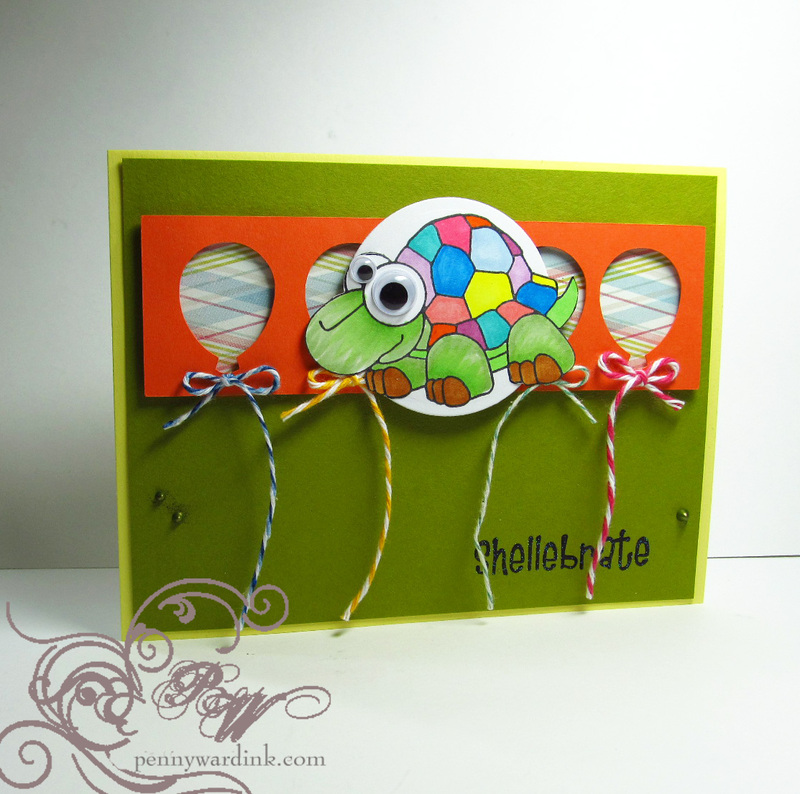 He is turtley cute :) love that stamp and I'm so glad you gave the "out of the box" technique a try! You nailed it! I have not been on your blog for a couple of days - my goodness - all those gorgeous cards you made in the meantime! I especially like the one with the ripped vellum - such a beauty!